On Stage 3 at Northern Stage in Newcastle, this week is a vivid new production that relocates H.G. Wells' iconic novel to the North East. 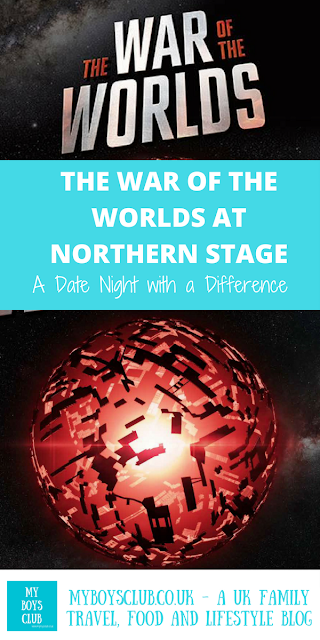 We were invited to attend the press night last week and were rewarded with a brilliant night out, a great date night with a difference. My words to describe the play to hubby as we left the theatre was that it was a real triumph of sound. The sound of both the casts voices and the amazing industrial and eerie sound effects. Together, with little in the way of props, the sounds created, painted a picture for the whole audience to imagine. The creative sound and lighting are so cleverly designed that even though there are no Martians in the theatre, you can’t help following the gaze of the engaging cast, as they persuade you that there is. The War of the Worlds is a science fiction novel written by English author H. G. Wells in the 1890’s. It is one of the earliest stories that detail a conflict between mankind and an extra-terrestrial race. It was first serialised in magazines in both the UK and the US before appearing as a book. The War of the Worlds has spawned seven films, as well as various radio dramas, comic-book adaptations, video games, a television series, and sequels or parallel stories by other authors. I haven’t actually read the book – something I am definitely going to rectify after watching this performance – but I have heard of the infamous adaption that was a radio broadcast, narrated by Orson Welles in 1938 where some listeners believed the events to be really happening. And I did watch the Hollywood blockbuster in 2005 by Steven Spielberg starring Tom Cruise and enjoyed it. It is also the 40th anniversary this year of the 1978 best-selling musical album of the story was produced by Jeff Wayne, with the voices of Richard Burton and David Essex. So back to The War of the Worlds at Northern Stage. 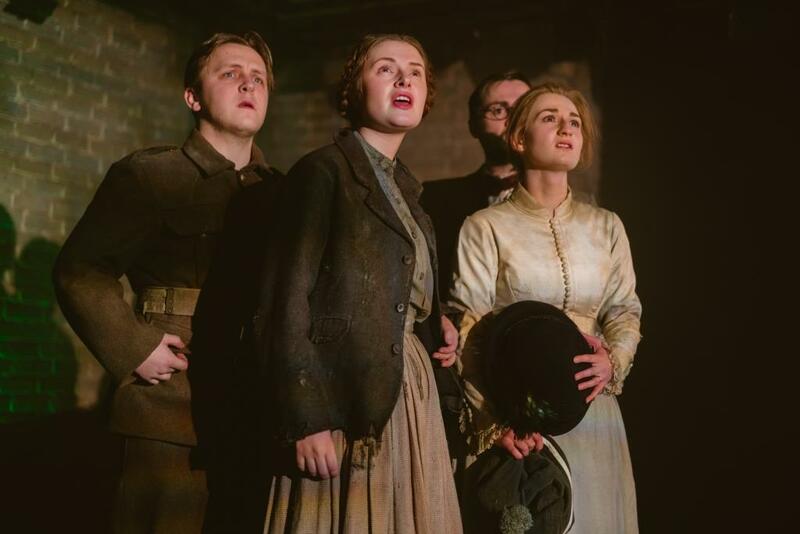 The production is part of the expansion of Northern Stage’s pioneering NORTH programme which in addition to actor training now includes staging and touring a new production, offering four emerging actors from the North East the opportunity to perform professionally with the theatre. This maiden production is written by Laura Lindow with sound design by Mariam Rezaei and directed by Elayce Ismail. The cast is Charlotte Ryder, Luke Maddison, Jack Lloyd and Lauren Waine. It is on Stage 3 which is a flexible theatre space that can be set up for intimate performances and productions, perfect for this production. 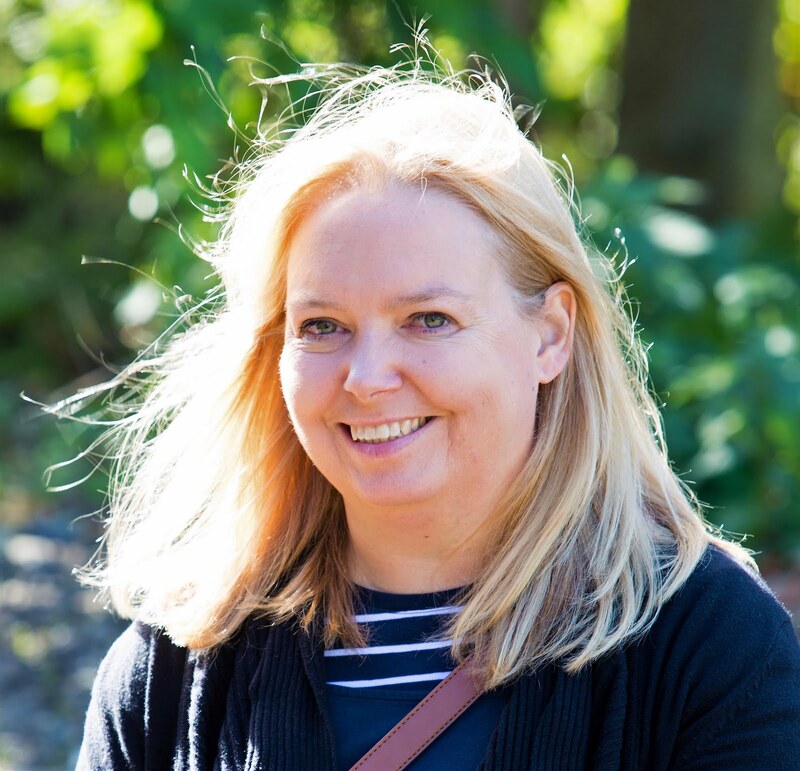 The play stays pretty true to the book itself apart from moving the location north to Alnmouth, with mention of Newcastle, Gateshead, Morpeth and Corbridge, which is great for a local audience. Newcastle was also the industrial capital of the North so very apt for the storytelling too. Missiles are fired at an unsuspecting earth. Martians arrive ready to massacre mankind. The play charts the fortunes of a band of survivors as they become refugees in their own country. In a year that we are celebrating the Great Exhibition of the North in Newcastle, it was also great to hear the script cleverly weave in references to the North East’s industrial heritage and inventions – from shipbuilding to the first street in the UK to be lit by electric light bulbs. HG Wells, a man of science and art, fires a warning shot above the deck. He feels the cost of progress and the downsides to invention. He sees ahead through time to the new technologies and strategies to be unleashed in WW1: tanks, trench warfare and gas bombs. And further down the line, the atomic bomb, which he also predicted. His first science fiction novel has the same warning now in Laura Lindow’s brilliant adaptation with explicit warnings about the world we live in today. The cast asks us to stay with them, and at the end, we discover why. The War of the Worlds may be even more pertinent now for us in 2018 if we remain complacent, a very topical reminder of how fragile our world is. 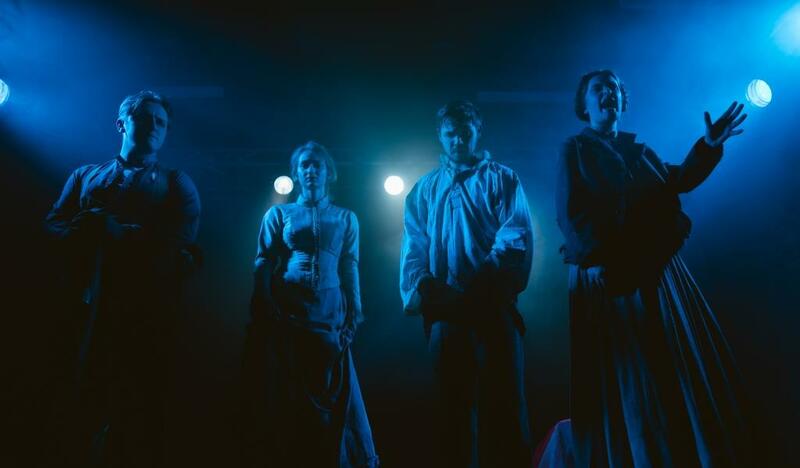 The show is already sold out at Northern Stage, and I’m not surprised I’m certainly not a theatre critic, but I do love drama where it is really stripped back and the talent of the cast, writers, directors and designers can shine through, with a great story to tell and message to convey. This adaptation really has an emotional impact on you and at the end, you feel like you have been through the wars with them. Don’t just take my word for it though The Guardian has given it 4 stars and Dave Whetstone at The Journal gives it five out of five calling it ‘an absolute blast!’ and I couldn’t agree more. 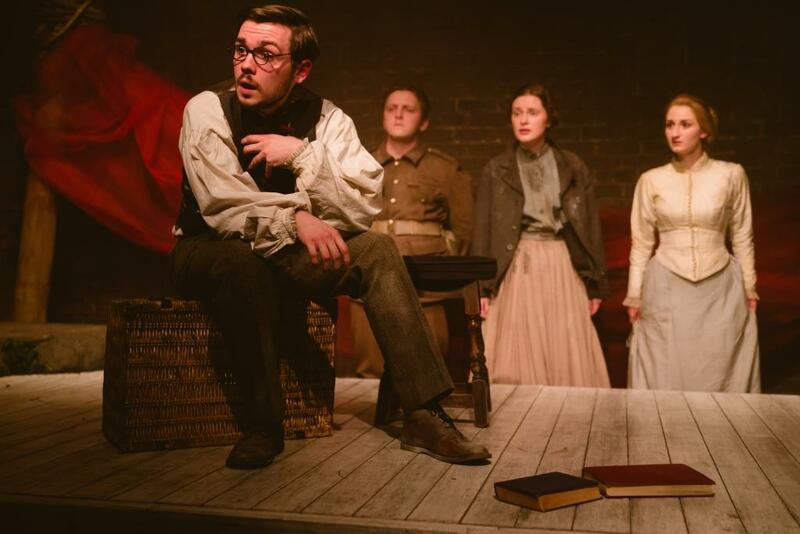 Although sold out at Northern Stage, the production of H.G. Wells' The War of The Worlds is touring the North East during February 2018. There is a performance on Tuesday 13 February at Dynamix Skatepark in Gateshead; Thursday 15 February at Kirknewton Village Hall; Friday 16 February at The Witham, Barnard Castle; Saturday 17 February at Shilbottle Community Hall; Thursday 22 February at Phoenix Theatre, Blyth; and Saturday 24 February at Watson Institute, Castle Carrock. There is also a schools tour. If it is coming to your child’s school they are in for a treat. It’s suitable for KS3. Northern Stage is well worth checking out what is coming up as it makes a great date night with a difference and they also have fab stuff on for kids too. When was the last time you went to the theatre? 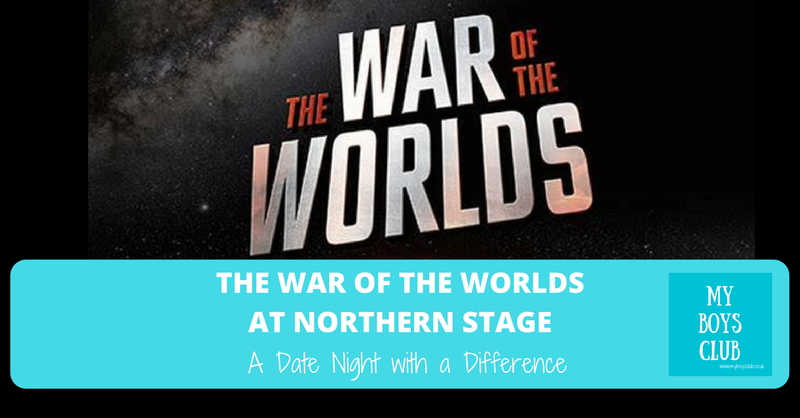 Disclosure: We received two complimentary tickets to The War of the Worlds at Northern Stage on press night in return for an honest review. Production shots have been supplied by Northern Stage. Looks class (and seems to be getting reviews yo back it up). I'm a fan of the book. A good play can really live on in the memory. I haven't been to see one in years though.